Monitor both property transaction and expense history. 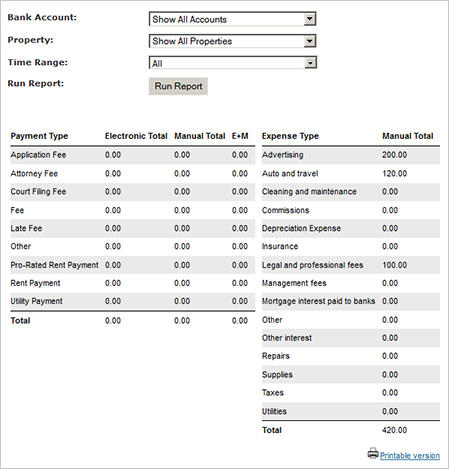 Track expenses within eRentPayment to have a single location for monitoring property transaction and expense history. 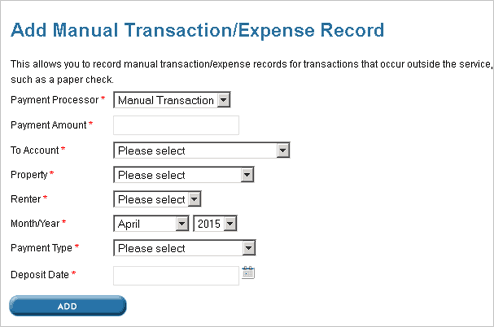 The included Accounting Reporting feature displays receivables plus expenses to make tax time much easier.